If this is news to you then I apologize, but there's a very good chance that neither you nor I will ever get the chance to drive a $1 million track-bred McLaren Senna hypercar. 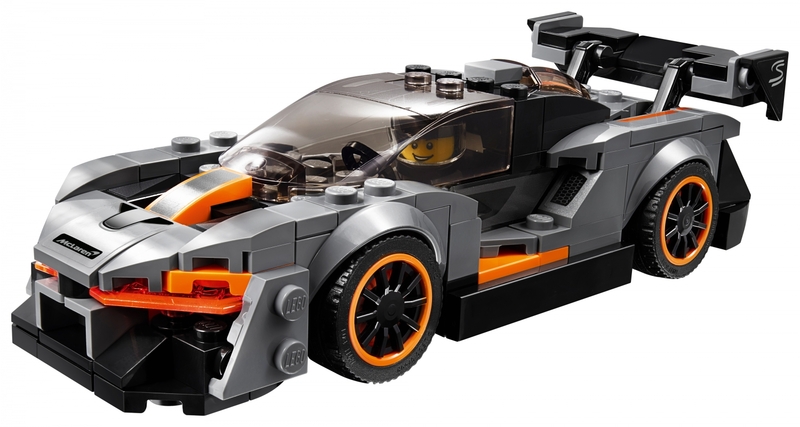 However, you can now put one in your garage or, more realistically, on your coffee table with the new McLaren Senna Lego Speed Champions edition. After the success of its 720S and P1 Speed Champions sets, McLaren has again partnered with the legendary Danish brick manufacturer for a miniature version of its new Ultimate Series model. 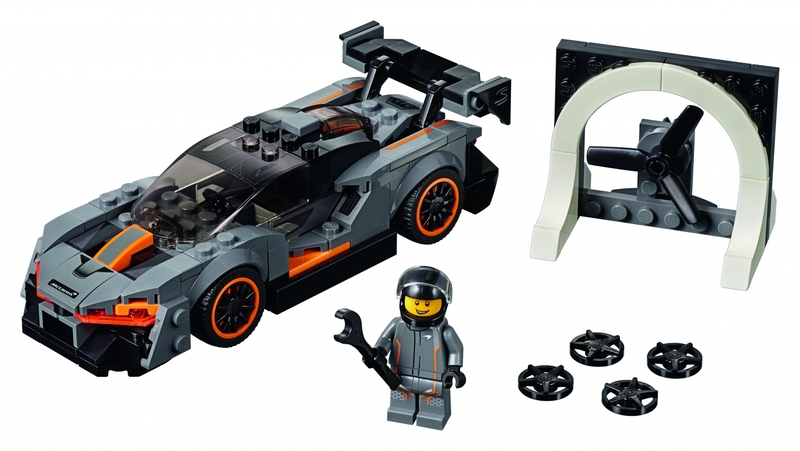 The set consists of 219 pieces and includes the five-inch model hypercar finished in Victory Gray with orange accents, a Lego minifigure sporting a Senna and Pirelli racing suit, an extra set of rims, and a mini wind tunnel—a reference to the Senna's excellent aerodynamic capabilities. While you can't hot lap Laguna Seca in it, the Senna in Lego form has a few advantages over the real Macca. First, McLaren is only making 500 full-size Sennas, all of which have already been sold. We expect that Lego will have a much more consumer-friendly business model in mind for this brick set. Second, the Speed Champions edition retails for just $14.99, or about 50,000 times cheaper than its fully-functional counterpart. Third, while a regular Senna takes about 300 hours to assemble by expert mechanics, this adorable model should take even the most casual builders no more than 15 minutes to complete. Oh, and it most likely won't randomly burst into flames. Even though Lego is making more than 500 units of the Speed Champions set, McLaren thinks the Lego Senna will still fly off the shelves considering that its previous brick-based models sold out, so snag one while you can. 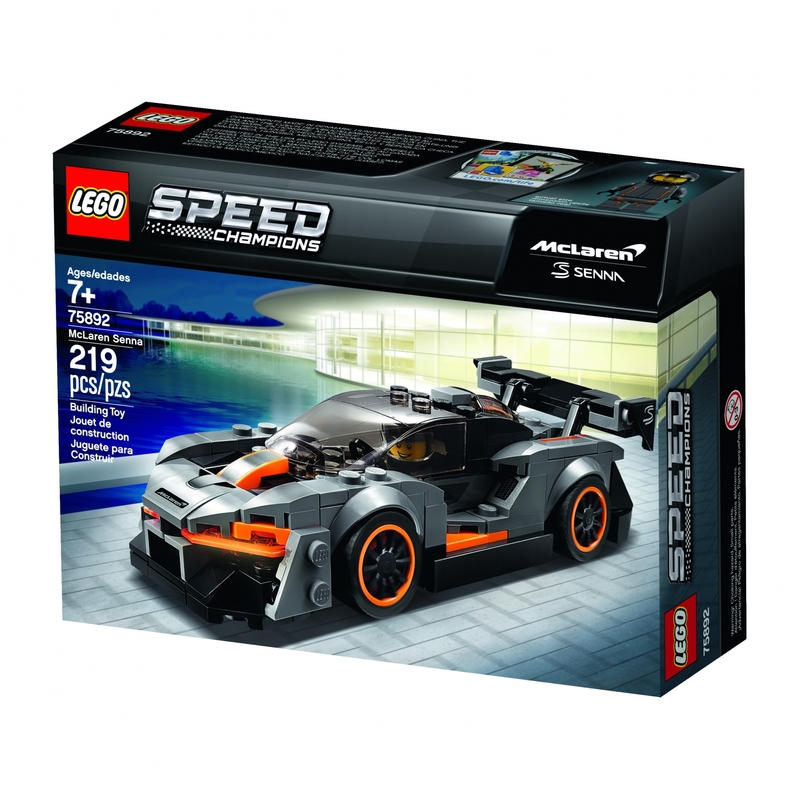 The McLaren Senna Speed Champions edition is available now at Lego retailers and on the company's website.